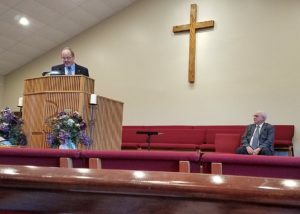 On Sunday evening, April 7, 2019 our congregation gathered for a special worship service to install Rev. Tim Rackley as our Senior Pastor and Rev. Don Rackley as our Associate Pastor. 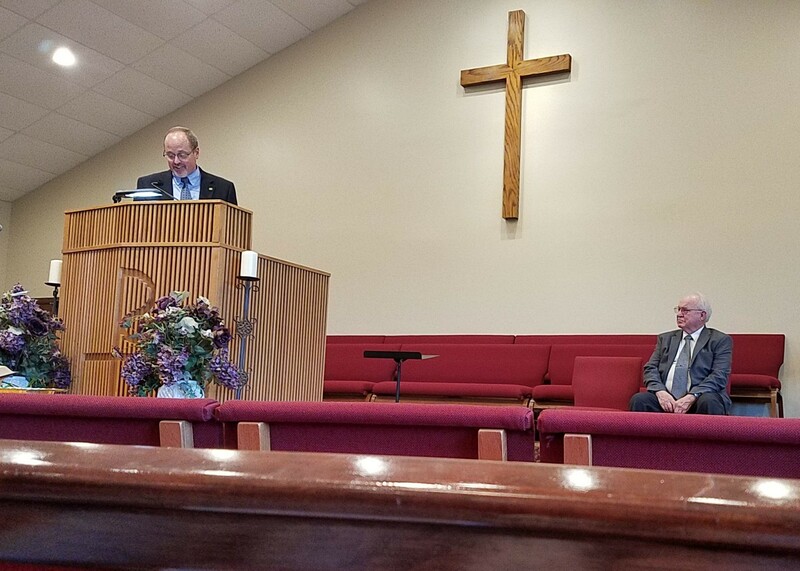 A message on Encouragement (from 3 John 1:1-15 & 2 Kings 4:8-17) was brought by Ruling Elder James “Bebo” Elkin, who had been a visiting professor when Pastor Tim was a student at Covenant Seminary. 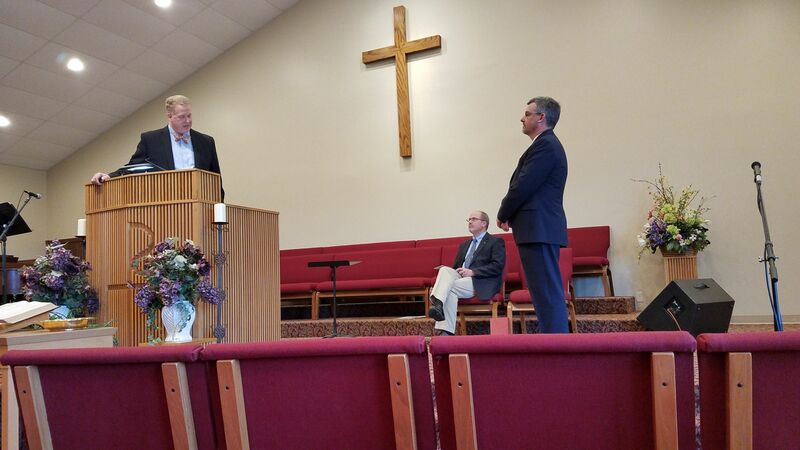 The installations were officiated by the Heartland Presbytery Commission. Following the service, a meal was enjoyed by the congregation and our guests in the church fellowship hall. R.E. 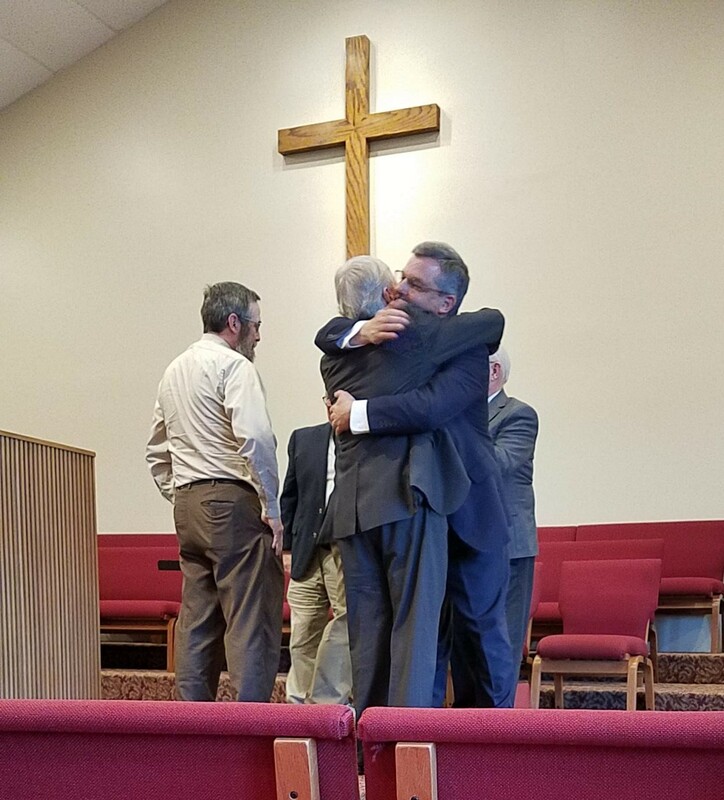 James “Bebo” Elkin gives Pastor Tim the right hand of fellowship. Congratulations! Nice to know that both Pastor Rackleys will still be there when we come out there. we are getting used to a new pastor here. 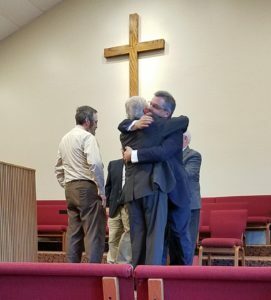 Our interim pastor stayed on until the end of July and it is not decided if they will stay longer. Looking forward to seeing y’all this summer!